Cornish pasties have been in the news after the Cornwall NHS Trust announced they are experimenting with alternatives made with filo pastry or pasta. Our view is that the Cornish pasty recipe has stood the test of time and will continue to do so. Part of the reason the Cornish pasty became so popular is because it can be regarded as a simple, complete, nutritious meal. Historically, it was typically eaten by hungry manual workers; but we see no reason why Cornish pasties can’t still be enjoyed today by anyone as part of a healthy balanced diet. Pasty-makers have responded to varying appetites by introducing a wide range of sizes so that anyone looking for a smaller portion is well catered for. They are also always looking at ways of improving their products to meet healthy eating guidelines. Salt and fat levels, for example, will be subject to regular review. One of the key elements of the protected recipe is of course the fresh, natural ingredients that make up the filling – just beef, potato, onion and swede with a dash of salt and pepper – far healthier in our view than other additive-laden heavily processed foods. 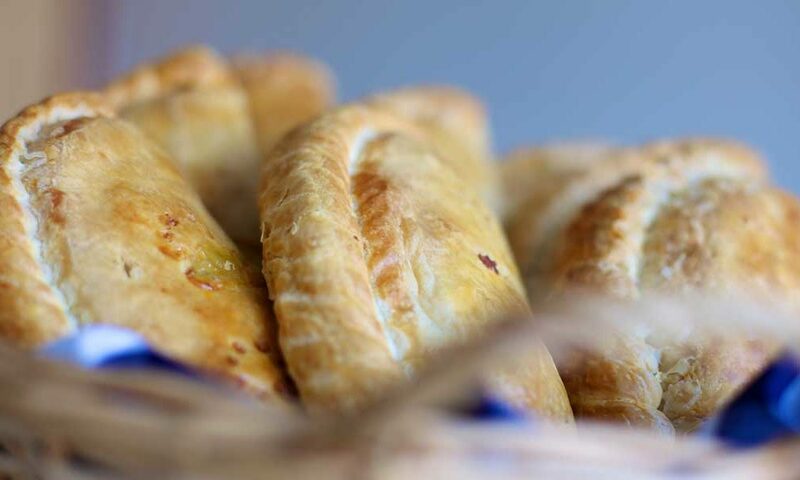 A genuine Cornish pasty is also baked slowly to produce the succulent, distinctive flavour that has become so well loved – it’s highly unlikely that an alternative pastry would produce such a satisfactory result. Anyone is of course welcome to create their own recipes for other similar products but, because the Cornish pasty is a protected food name, anything reformulated to be made with, say, filo pastry or pasta instead of short crust, flaky or rough puff pastry, would not be classified as a Cornish pasty and would need to be called by another name.